Firm: Davis & Kuelthau, S.C.
Lisa is Chair of the Food and Beverage Industry Team at Davis & Kuelthau and is a member of the firm’s Corporate and Real Estate practice groups. 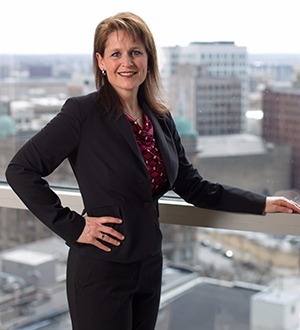 She concentrates her practice in commercial real estate, including the purchase, sale, development and leasing of healthcare, retail, industrial, office, and multi-family real estate, construction law, corporate and general business matters, acquisitions and mergers and sales of businesses. She also represents lenders in structuring, negotiating and drafting all types of commercial transactions, real estate lending, asset based lending, leasing, restructuring, workouts and liquidations of troubled or defaulted loans. The primary client base she works with includes organizations in the food and beverage industry, real estate investment and development, construction, manufacturing, and other general business areas.